FlexTec™ is the new high-performance, soft-edge door from Rytec. 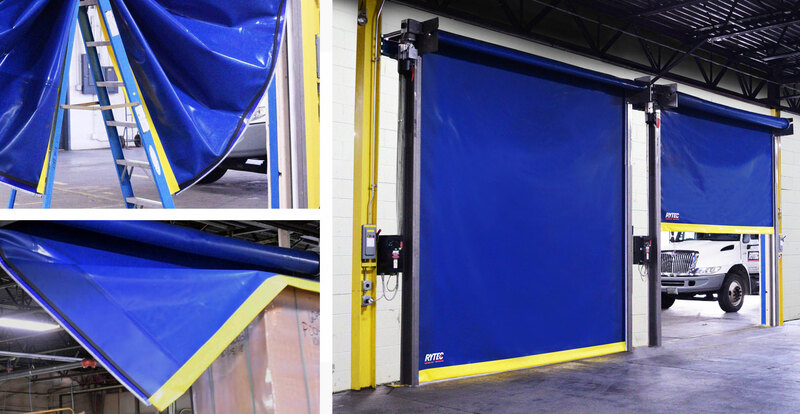 This new, flexible fabric door features advanced technology plus the industry’s longest mechanical warranty available – assuring unmatched day in, day out durability. Soft edge virtually eliminates entrapment concerns and extra protection is ensured for all types of traffic – safeguarding environments and providing continuing operations. Ideal for interior applications where entrapment concerns require a flexible, soft edge. FlexTec™ can be built up to 12’ wide by 12’ high.